Highly Recommend Good product quality and fast delivery! Good product quality and fast delivery! E voucher received fast, good product quality. E voucher received fast. Good product quality . Received in good condition. Love it. Highly recommended. Fast delivery.Good product. Already buy many books & do the photo album. Love it very much. Tq. How much is shipping fee per book ? or it's free shipping? If shipping fee is applicable, can we buy more and combine shipping together to save cost? Hi. For your information, the shipping fees for Mini Softcover 6 x 6 Photo Book is standard charge per book and you are require to submit the order separately. Thank you. Hi, you may use the Pixajoy Mobile app to create and redeem it. Hi, you may use the app to create and redeem it. Dear Khor, kindly screenshot the error pages and email to hello@pixajoy.com.my for further checking. Thank you. R there still 40 pages? N any offer for only 1 copy? 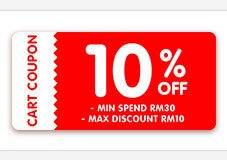 Hi, for better assist you, kindly email us your voucher code to hello@pixajoy.com.my for further checking. Thank you. Hi, If you use mobile app it is only have 36 pages option. For 48 pages, you're require use our online editor or offline editor (desktop version).